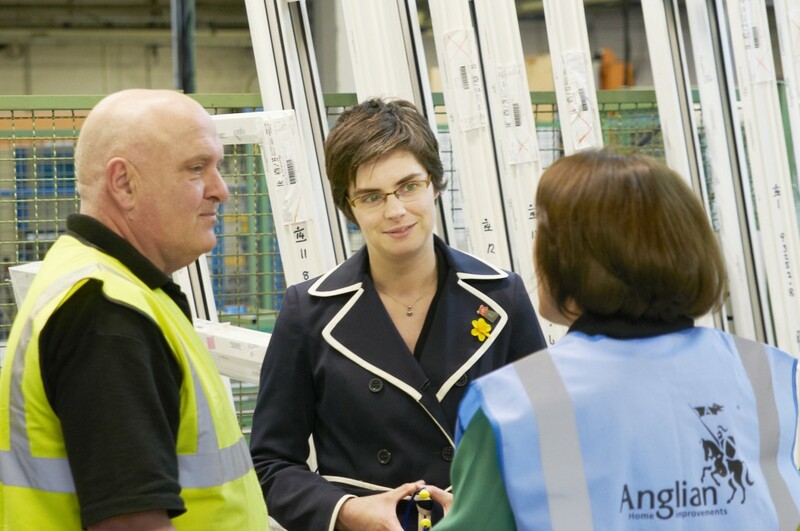 Anglian Home Improvements were very pleased to welcome back to the company Chloe Smith, Norwich North MP and Treasury Minister, who offered her congratulations to Anglian on their plans to support the governments new Green Deal initiative. 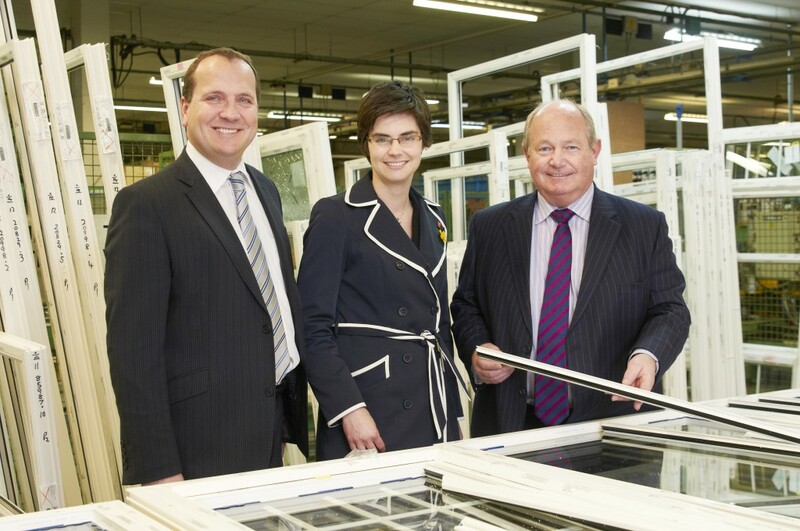 Chloe Smith previously visited the company in 2009, when Anglian first launched their national windows scrappage scheme. Chloe toured the manufacturing facility and learnt how effective Anglian was becoming at re-cycling old product and the innovation being used to manufacture new energy efficient windows. “This was a great opportunity to feed back to Chloe Smith how the Budget will affect Anglian’s customers and employees. As one of the first companies in the country to sign up to the Green Deal initiative, we look forward to playing an important role in delivering the Green Deal to our customers. We are now pushing the government to move towards proper accreditation and a strong Code of Practice for Green Deal providers. We also made the case to Ms Smith for cutting VAT on energy efficient home improvements. This would help to improve the energy inefficiencies within the current UK housing stock while creating thousands of new jobs in the construction sector”. Andrew Reeve, Chloe SmithMP and Melanie McDonald within our production facility. Under the government’s flagship New Green Deal scheme, details released on the 4th April, confirmed that Anglian are one of the initial providers of home insulation to the industry.